A key figure in 20th century engineering, Danish-born Sir Ove Arup is widely considered to be the foremost engineer of his era in Britain. His is one of the few modern engineering names known to the public at large, not least for the extraordinary Sydney Opera House, one of the world's iconic structures. Arup uniquely combined a philosophical and artistic as well as practical approach to business, and is remembered as an eminent bridging figure between the aesthetics and the constructional aspects of building design. He is one of the few engineers to have received the Royal Gold Medal for Architecture and to have been a member of MARS (Modern Architecture Research Group, active 1933-1957), both of which reflect his strong links with the foremost Modernist architects of the period. His varied career saw him succeed in many roles, as a consultant, contractor, civil and structural engineer, educational theorist, lecturer and author. His technical achievements include groundbreaking use of precast concrete and structural glue, and for over 50 years he maintained a written output of over 50,000 words a year, covering a wide range of topics. Significantly, he is a key figure in the development of the nature of the relationship between engineer and architect, believing that there are no natural boundaries between the disciplines and that any we construct eventually become barriers. 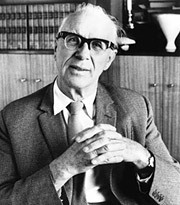 Not only did Ove Arup make a significant contribution to 20th Century engineering as an individual but he also did so as a director and partner in various firms, and as founder of the hugely successful global company that bears his name, Arup — the roots of which can be traced back to 1946 when he set up as an independent consultant at the age of 51. Today Arup the company is renowned worldwide, with offices as far-reaching as the Americas, Australasia, East Asia, Europe, Middle East and Africa. The spirit of its founder is still very much in evidence.